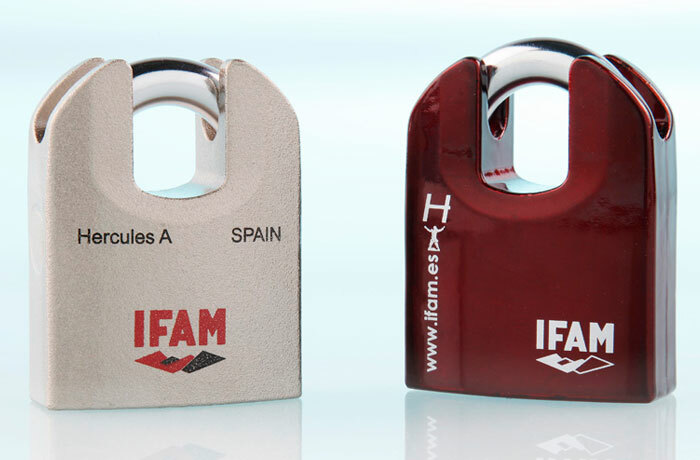 With the security hasps and staples PS455 from IFAM, you will be able to close the doors of lorries, lifting gates, etc., with the maximum security. 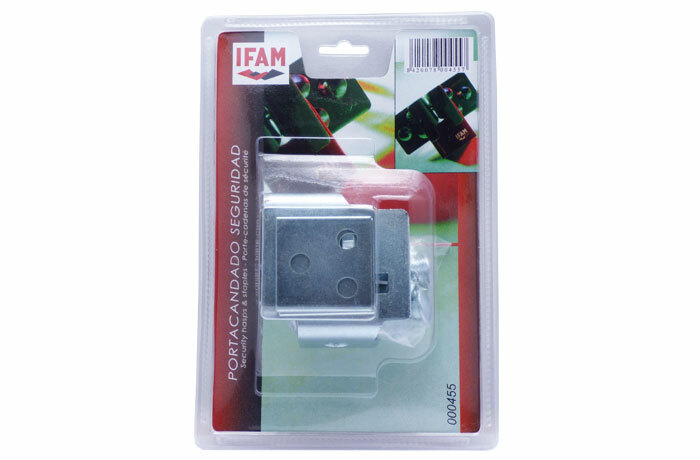 Thanks to its 6 bolt-cutter proof and drill resistant screws, the PS455 is suitable for wooden doors measuring up to 40 millimetres thick. 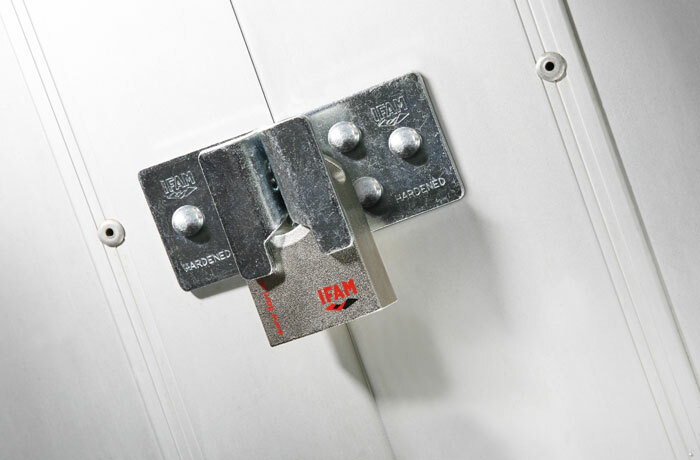 It may also be welded onto metal doors. 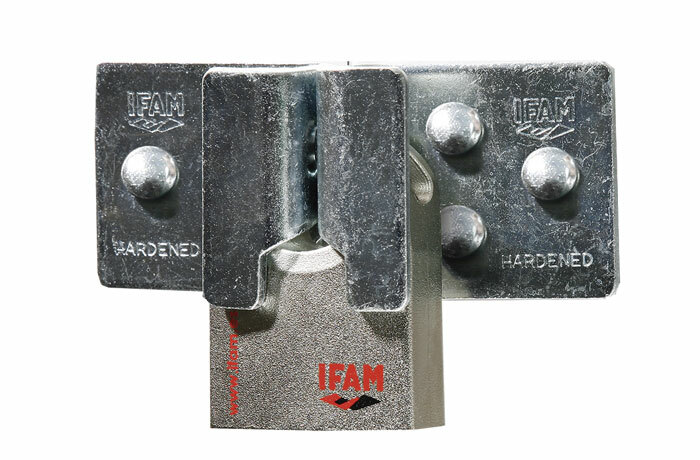 Also this hasp may be closed using IFAM high security locks with shackles measuring up to 12 millimetres in diameter. 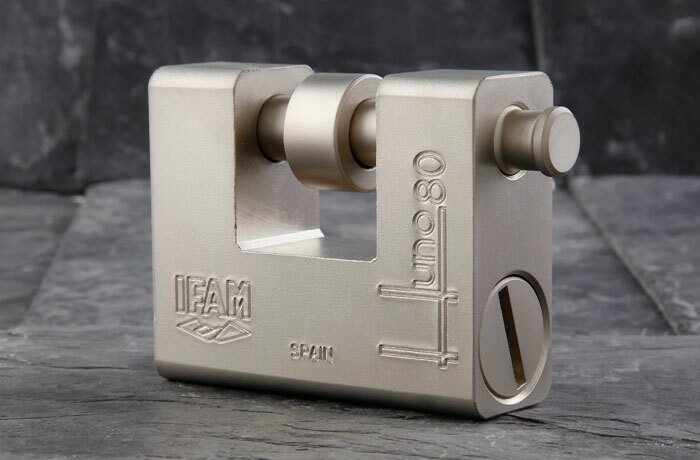 Body: – Manufactured in stamped and zinc plated steel. 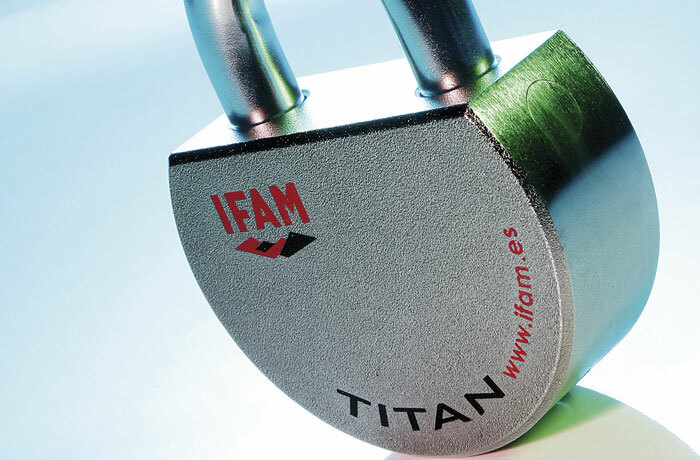 – Ring with 13mm diameter hole ready to hold high security padlocks. 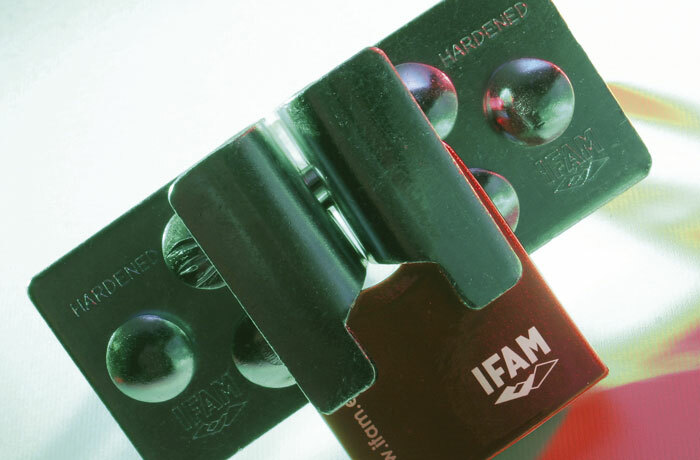 Other features: – Bolts protected against bolt-cutters and drills. 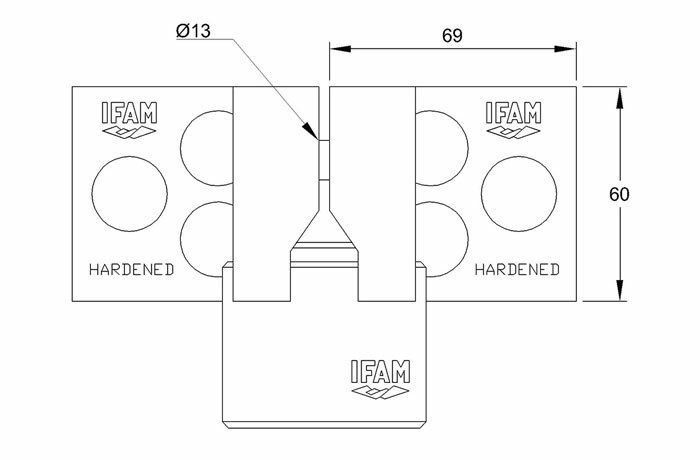 DIN 603×63 mm in length. 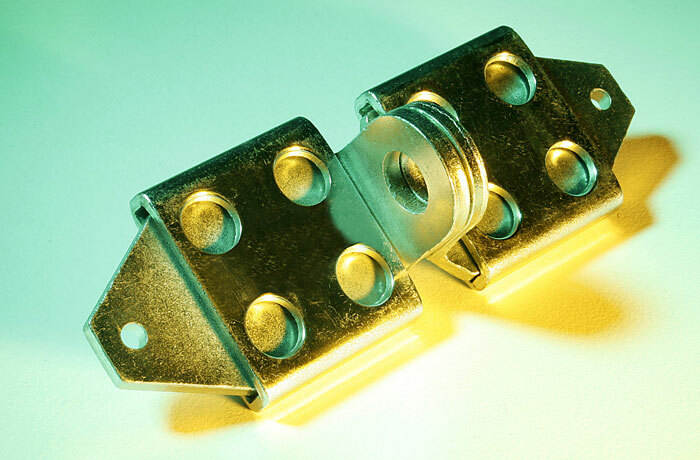 – Suitable for wooden doors up to 40mm thick (installation with screws). 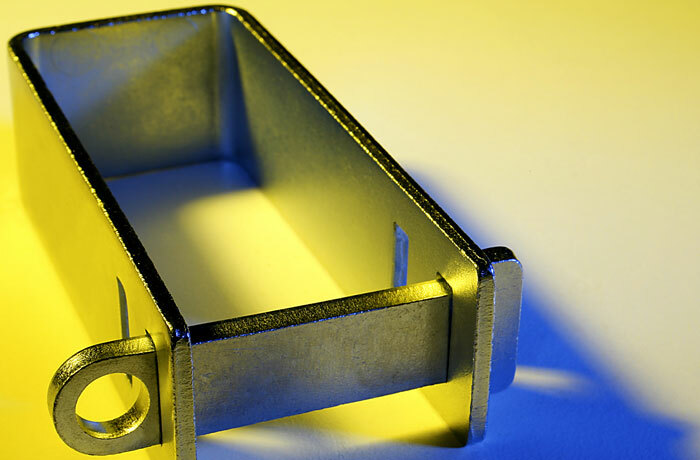 – Suitable for metal doors through welding. 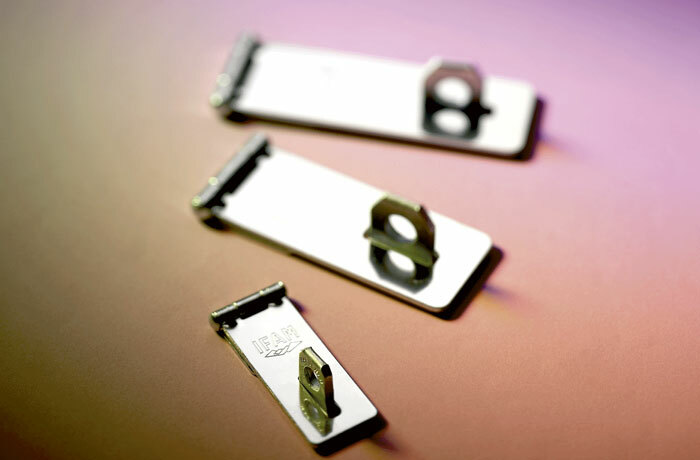 – 6 screws included for its installation.